Charleston, like Monterey, has an aquarium. 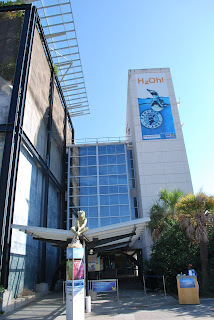 While nothing can compare to the Monterey Bay Aquarium, the South Carolina Aquarium is a nice aquarium to visit and has a lot of activities for kids. 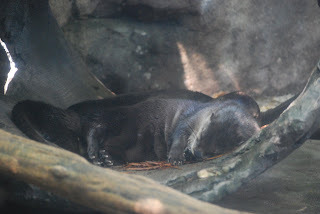 After all, what aquarium isn't nice that contains otters? 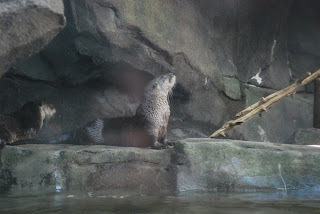 The South Carolina is home to a couple of super cute river otters. 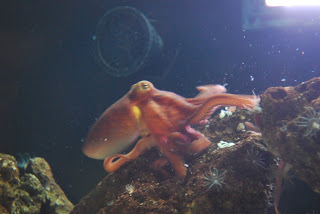 I was luck enough to see feeding time in the octopus tank. When the octopus gets food, he turns a red color. It was quite interesting to see. What was even more interesting was to see the flounders in the same tank and what voracious eaters they were. I always enjoy the jellies. There was a small jelly display at the aquarium, but it can't compare to the exhibit at the Monterey Bay Aquarium. 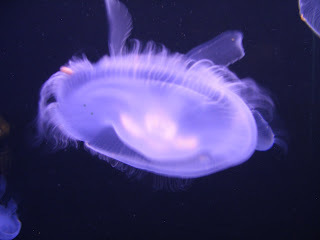 However, I always enjoy watching jellies as there is something very peaceful in their motions. The South Carolina Aquarium is home to a turtle hospital as part of its Sea Turtle Rescue Program. There was a tank in one of the exhibits which had some adorable baby sea turtles, but they moved so quickly it was difficult to get a picture of them that wasn't blurry. 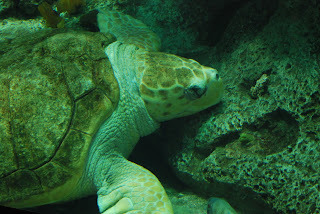 In the Great Ocean Tank you can see an adult see turtle. 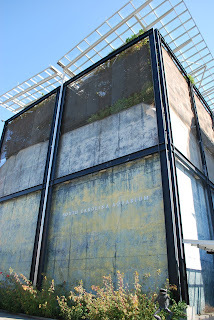 The Aquarium's Great Ocean Tank is the largest exhibit in the aquarium and can be seen on both floors; it is the tallest tank in North America at 42 feet high. 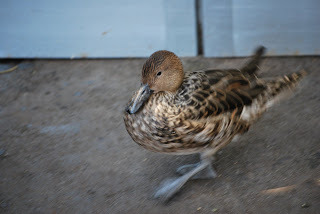 The Aquarium recently opened the Penguin Planet exhibit, but I was not very impressed by it. 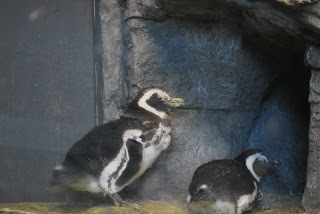 I only saw three penguins (there's apparently four) and the display and the penguins appeared quite filthy. All-in-all the the South Carolina Aquarium was a pretty nice aquarium...not as large, of course, as the aquarium in Monterey, but definitely worth going to.